Prague is a city known for its culture. Just walking around the breathtakingly beautiful squares and among the ancient Gothic architecture is proof enough of the strong heritage of artistry that flows through the veins of this city. It’s no surprise, then, that Prague’s history is brimming with great artists, musicians, and writers, each having contributed something unique and special to the world. Some are more famous than others, and today we’ll take a look at three of the more well-known artists in Prague’s history. Arguably Prague’s most famous writer, Kafka definitely left a big stamp on Prague and the entire modern world through his short stories and novels. Kafka had a complex and troubled life, beginning with his rough childhood. His two younger brothers died in infancy, leaving him with three sisters, all of whom would later lose their lives in the holocaust. He grew up in the Jewish quarter of Prague in a middle class family, and his tense relationship with his parents, particularly his overbearing and dominant father, would deeply impact his future life and work. After getting a degree in law, Kafka began working in insurance, which suited him fairly well but had never been his dream. What little spare time he had was devoted to his writing, but he was plagued by insecurities and poor health throughout his life, and struggled to make relationships work. Kafka died from complications related to Tuberculosis in 1924, and requested that his work not be made public as he still felt it wasn’t good enough. However, his friend Max Brod went against Kafka’s wishes after his death and began publishing his writings in the 1920s. As the 20th Century wore on and Communism enveloped Czechoslovakia, Kafka’s dystopian and often bleak writings became more and more relevant. The fame and recognition that had eluded him during his life finally came, and he’s now remembered as one of the most influential writers of his era. Any fans of Kafka should check out the Kafka Museum, which is located on the banks of the Vltava River in central Prague. It’s a great place to spend a few hours learning about Kafka’s life and the things that shaped his work. 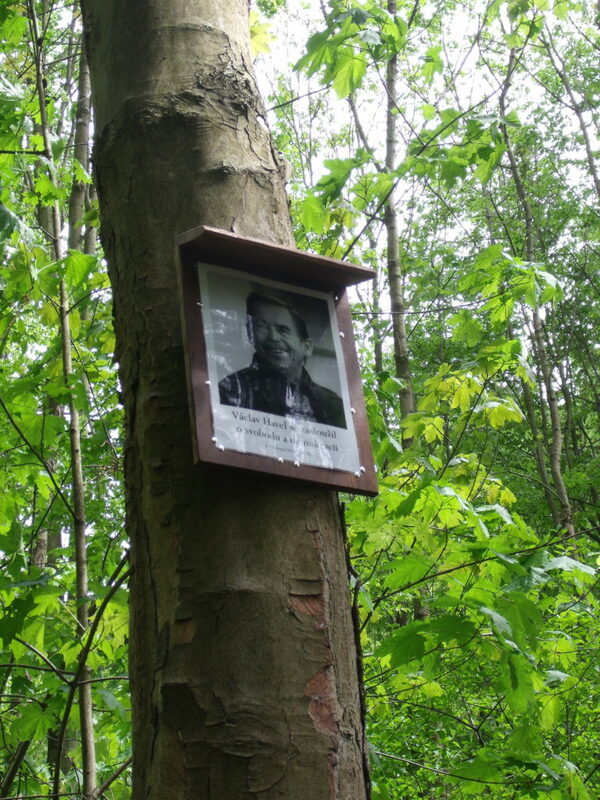 Any visitors to Prague who weren’t already aware of Václav Havel will find out fairly soon after their arrival. This is because the city’s largest airport, and the point of entry for almost all flights, is named after Havel. This is just one example of the legacy of one of the most significant politicians and visionaries in European history. Havel was born into a wealthy family in Prague, and began his career as a playwright. While he achieved great success in this field, with his works being performed across the world, the Communist occupation of Prague forced him to abandon his craft and dedicate himself to activism. Havel’s anti-communist actions and resistance resulted in his being imprisoned on several occasions, but he was not deterred. His Civic Forum party played a huge role in the Velvet Revolution and subsequent liberation of Prague in 1989, and shortly after this Havel was elected president with overwhelming popular support. During his presidency, Havel strongly opposed the breakup of Czechoslovakia, but afterwards returned as the president of the Czech Republic. He was controversial throughout his career, and his decisions to grant amnesty to almost everyone imprisoned under Communism resulted in a heavy backlash against him. He also spoke out against the expulsion of Sudeten Germans after World War 2, which further damaged his reputation at home. By the time he retired from politics, Havel was more popular abroad than in his own country. Havel left office in 2003, and spent his later years working on plays and supporting the Czech Green Party. He also established Forum 2000, a conference to discuss world issues and possible solutions, which is still in existence. After his death, there was an outpouring of praise and accolades from across the world, ranging from world leaders to ordinary people. Nowadays, Václav Havel is remembered as a highly important figure in world history, and memorials to him can be seen all over Prague. It’s almost impossible to spend any significant amount of time in Prague without stumbling upon at least some of David Černý’s art. Černý was born in Prague, and burst onto the scene in 1991 when he painted a Soviet tank pink. The tank was being used as a war memorial, and Černý was subsequently arrested. However, this didn’t stop him from going on to create controversial and thought-provoking works of art all over the city. One notable example of his work is the collection of giant, deformed babies that can be seen in numerous locations in Prague. 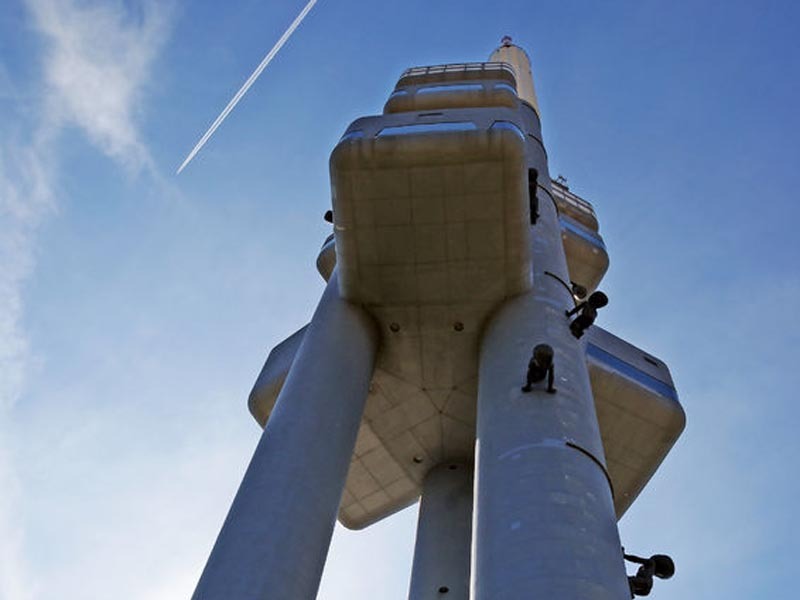 The Žižkov Television Tower is one such place, and the eerie, misshapen figures can be seen climbing it from all around. A particularly controversial work of Černý’s was ‘Shark’, which featured Saddam Hussein’s corpse suspended in a tank of formaldehyde, in a parody of another famous work of art called ‘The Physical Impossibility of Death in the Mind of Someone Living’, by British artist Damien Hirst. 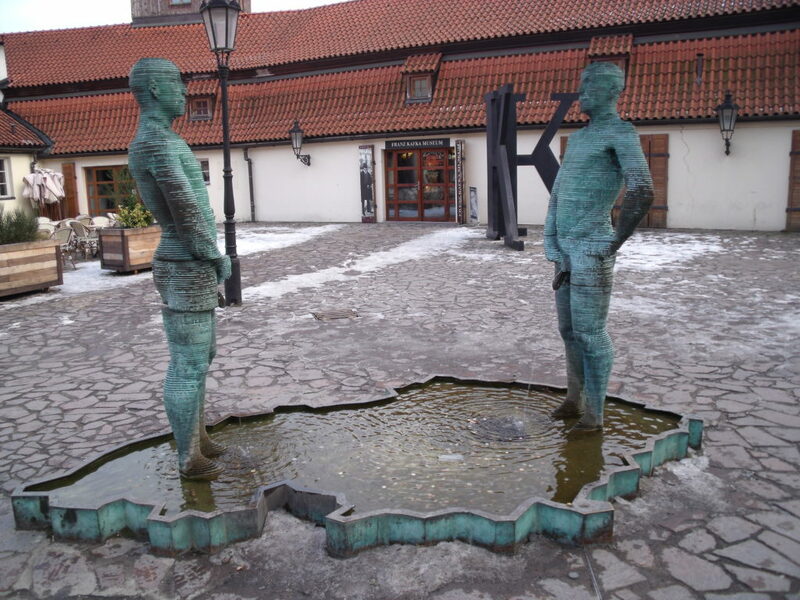 Černý’s piece drew quite a reaction, and was banned from several places, but generated plenty of attention. 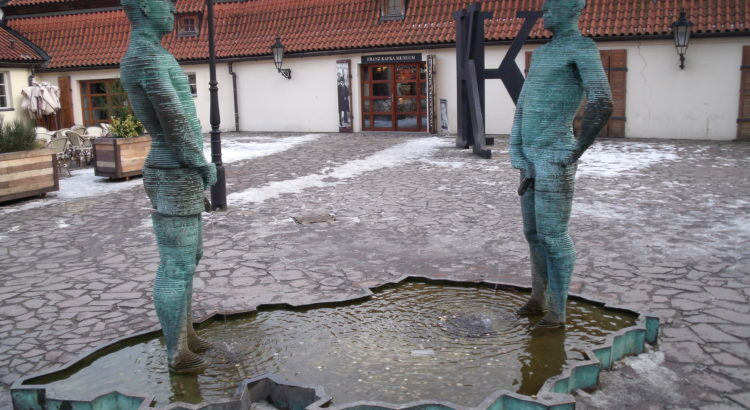 The depiction of Bulgaria as a series of squat toilets actually prompted diplomatic action, and was later obscured. Černý remains active today, and looks set to be making waves and creating talking points with his projects for years to come. Any visitors to Prague looking to check him out should start with the giant revolving head of Franz Kafka, located near the metro station Národní třída. OUR TIP Take a free of charge 9-stop tour of David Cerny’s Prague which includes his most notable work as well as the less known one.